Are you one of the luckiest to live in Miami? Or are you planning to visit it soon? Let us make you fall in love with this city and Ural! When you ride one of our sidecars you will want to savour every moment. A laid back way of travelling around the Provençal countryside that enables you to immerse yourself in the full ambience of the region. Holidaying with family, friends, even dogs…….. a whole new horizon is opened up with sidecar travel. And with plenty of carrying capacity you can take the tent, or spend the day round the market without worrying how you will cart everything home. Feel the cool, ocean-fed breezes caress your face as you swoop and soar along the Road, gently massaging away the stresses and strains of everyday life. Savour the smells of bush and bays in this open-air experience. 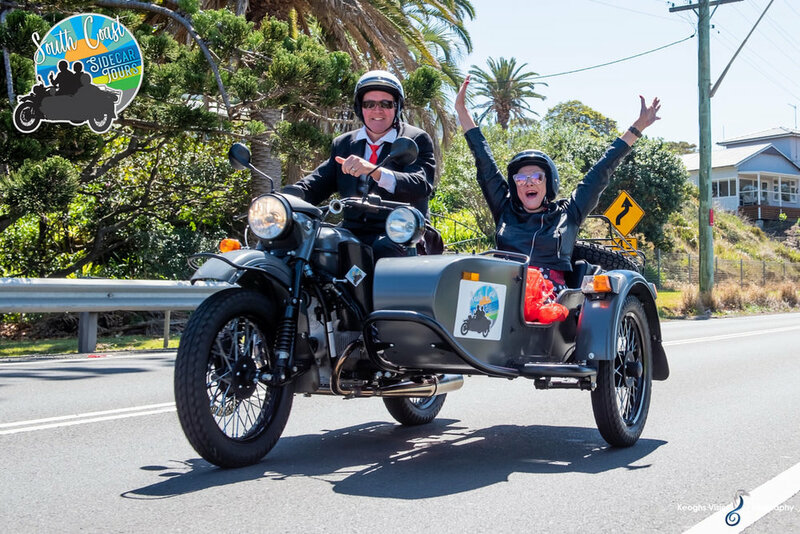 Whether you're visiting Sydney on holiday or business, here on your own or with a group, our sidecar tours around Sydney are suited to everyone. It's the most enjoyable way you'll find to experience the beautiful city of Sydney whilst traveling in comfort, style and safety aboard our classic motorcycle sidecars. Experience Sydney like a local. I'll take you to the best cafes, local hangouts and lesser-known spots that the Sydneysiders know and love. To complete this unique experience, you'll be riding in a cool retro-looking sidecar. But you're not confined to the sidecar for the entire time. We'll hop out and explore some places that are best accessed on foot. I specialise in experiences for the independent traveller who wants to get to know more of what Sydney has to offer. Region: Wollongong, NSW. 85km's south of Sydney. Our tours are designed for you to experience our stunning coastline and breathtaking lookouts on a modern but retro styled sidecar motorcycle. Your tour guide Andrew has loved riding motorcycles since he was 8 years old and is passionate about showing off this area to locals and visitors. The sidecar motorcycle can carry two passengers in comfort. Rocky Mountain Sidecar Adventures was founded in 2014, with a view to offering creative and unique sidecar motorcycle experiences in the foothills and Kananaskis region of Alberta. Our fully guided and driven tours, provides you with an opportunity to be fully immersed in the experience of riding in an open sidecar. 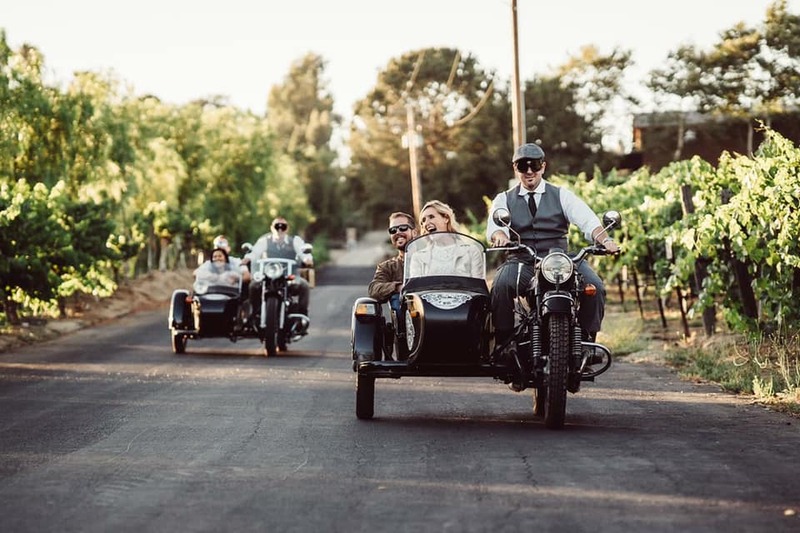 Whether in the city or the countryside, our sidecar motorcycles hearken back to the heyday of transportation when motorcycling was a family affair and people shared the experience. Discover Victoria’s true character and charm touring on a classic Ural Sidecar Motorcycle; a distinctly memorable experience that will last a lifetime! 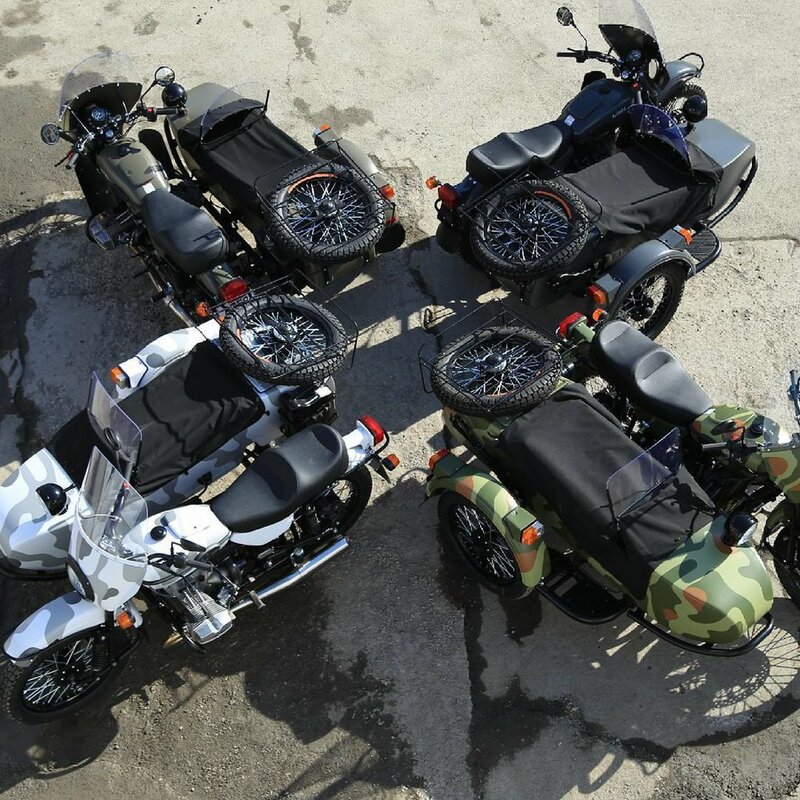 Our tours are offered exclusively on Ural Sidecar Motorcycles, equipped for on road and off road touring and designed with modern needs in mind. Our sidecars offer comfortable seating and ample storage! We offer off the beaten track city experiences and expeditions with resident expats by sidecar motorbikes throughout China! Discover the bustling city with our expert local guides and an unforgettable experience! Experience the Paris Retro adventure on board an authentic sidecar with one of our gentleman sidecarists. Discover Paris’s heritage and secrets through little-known streets and unusual and astonishing anecdotes. Let yourselves be taken for an unforgettable voyage in the glow of the City of Lights. When the sun shines there is no better way to explore Munich than by sidecar! While we jovially ride with my Ural along historic sites and hidden places, I will show you Munich in a way you've seen before. The tour starts and ends at a place of your choice. You are also welcome to create an individual and personalized tour on your own. Experience Munich with fun and in style or treat someone special with this unique touring experience in one of my vintage style motorcycle sidecars. Amsterdam can be discovered in many ways, however none are as fun and adventurous as on a classic sidecar motorcycle. Your tour guide will show you the hidden parts of Amsterdam and bring you up to date with the more fun and untold parts of Amsterdam history. We offer a variety of tours in Amsterdam and the countryside surrounding it. We are an exciting guided Sidecar Motorcycle Tour Company based in Queenstown New Zealand. With two sidecars imported from Russia we have one of the most unique tourist activities in Queenstown. Our tour company showcases some of the most spectacular scenery in New Zealand and continues to wow clients with adventure. Make your visit to Madeira even more unforgettable and enriching. For this, we have created and developed Sidecar tours, which include: the main tourist sites and other less known but equally interesting. In each of our tours, you can request changes or stops, allowing you to discover the charms of Madeira in a free, fun, and different way without any worries. Discover Lisbon and the Algarve in a glamorous black classic Sidecar full of history, in a unforgettable private tour. A unique and wonderful sightseeing journey, a different look, authentic and genuine to the sights, sounds, flavors, colors of two of the most iconic tourist destinations in Portugal. Gusto Sidecar Adventures allows us to share our passion for sidecar travel, creating tailored adventures for all – young or old, biker or non-biker, able-bodied or disabled, as an individual, as a family or in a group. We don't have to go far from home to find adventures along coastal roads, village lanes, forest trails, or winding mountain tracks where you can see amazing parts of the rugged Portuguese countryside. Using our 2WD Urals, we love to ride off-road, taking our time to appreciate the beauty that surrounds us, soaking up the smells and views that many others will not have seen. Come and join us for your sidecar adventure! Discover the beauty of Russia with curated tours by expert local riders! An extraordinary adventure and an unforgettable journey - a motorcycle tour on the Urals. Ural Sidecar Tours South Africa gives you a unique way to discover this country. We specialize in tours ranging from 1-7 days, showing you the most beautiful parts of South Africa! Explore the only place in the world where you can do a Game Drive on a Ural Sidecar! Our Barcelona sidecar tours are personal, exciting and utterly unique journey into the heart and soul of this unforgettable city. Your private guide & driver is a local, an ambassador and your next new friend: eager to share his passion and wealth of local knowledge all around the architectural treasures, the genuine Mediterranean lifestyle and our best kept secrets, unknown to the regular traveler. Our base is in Basel Switzerland known as the “dreiländerecke” or “three country corner” as Basel is situated right next to France and Germany with many scenic areas in easy reach. Contact us about your trip and we are glad to help you plan your trip and the sites worth visiting. Checkout our blog with plenty of tips and guides on riding in Europe and suggested itineraries. From Basel the alps are a 90 minute ride away, the black forest is 15 minutes ride, the alsace 10 minutes, Colmar “the venice of France” 1 hour, and Strasbourg with its famous Cathedral 90 minutes. In between are many sites to explore of both natural and historical interest. City on the Side provides an exceptional sight-seeing journey, a different look, authentic and genuine, allowing passengers to experience Colorado from a completely unique perspective. An exhilarating, personal and private tour on a classic and glamorous Ural cT sidecar motorcycle. We are the premium sight-seeing tour experience, unique to the western United States. Our passengers discover Colorado in the open-air, unconfined and free with 360° views of its breathtaking landscapes and magnificent beauty. Cruise the city in style with Arturo as he shows you the best of Houston. Feeling thirsty? Houston sidecar tours offer curated rides to the best craft beer breweries in the area! Each tour has been curated by us personally to experience the best that LA has to offer, but the best part is experiencing it in a truly unique way with a vintage sidecar. You can stop anywhere you like and take as many pictures as your camera will allow. We provide helmets, goggles and blankets, but you may want to bring sunglasses, gloves, and sometimes even bundle up with a scarf. Forget those typical bus tours and hop on the Sunny Side! A private wine tour company like no other. Our Custom 2 person sidecars are privately Chauffeured and a blast to experience Temecula Wine Country in! Welcome to New York Sidecar Tours, New York’s first and only motorcycle sidecar sightseeing company. My name is Anthony Sepulveda, I’m a native Brooklynite, musician, filmmaker and licensed tour guide with 34 years experience riding motorcycles in NYC. Discover Washington, DC and have an unforgettable experience, cruising in a classic Ural sidecar motorcycle! Your personal guide will chauffeur you around town, showing you Washington, DC and its surrounding areas in ways you've never seen before. With room for two passengers, everyone on board has an intercom device talk through, ask questions, and learn while enjoying the unrestricted views of the City sites! Classic Sidecar Tours offers a wide range of sidecar experiences over a relatively wide area throughout the year. From Santa Cruz to San Diego, the Redwoods to Joshua Tree, the Beaches to the Mountains and beyond into the Mojave - they can show you the best of what the State has to offer from the unique open-air perspective of a sidecar. You will ride through the thick of the action and see the sights like never before on a mode of transport as unique as the city around you. Each Dapper Experience is meticulously customized with you and your interests in mind. If you are visiting this city for the first or thirty-first time, or you’re a resident wanting to know your city more intimately.